HB42 went into effect July 1, 2017, creating new provisions for Class 1 Distillery license holders related to the manufacturing, sampling and sale of products. Please see below for details, or download this one-pager. Sell up to 2.25L of product in any bottle size per person, per visit. The law authorizes a Class 1 Distillery licensee to offer samples in the form of a cocktail. This presents new opportunities for promotion, but also new regulations. Health Department License. 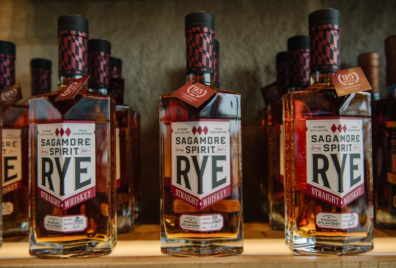 If a distiller wishes to serve samples with ingredients that are “shelf-stable” (i.e., that do not require refrigeration) and are self-served by the customer, no health department license is required. In any other circumstance, a local health department inspection and license is required. Essentially, the prepping/opening and service of food items brings the distiller into restaurant regulations. A: No, all alcohol used in the sample cocktails must be those produced by the licensee. Q: If a distillery offers a gin and tonic sample, must it obtain a health department license? A: If the tonic is opened/poured by the customer, no. If the tonic is poured by the distiller, and/or if the distiller offers a lime wedge that it sliced, a permit is required. For more information, contact Maryland Distillers Guild with questions.